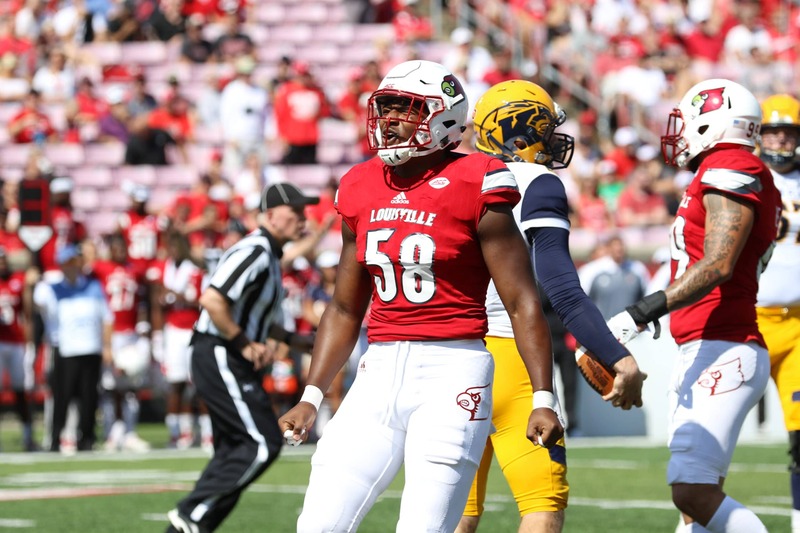 As U of L prepares for its 100th season of collegiate football, question marks surrounding the team – namely the defensive unit – still remain. After hiring defensive coordinator Peter Sirmon from Mississippi State in 2017, fans were justifiably concerned with the hire, given that Sirmon’s previous stint in Starkville saw the Bulldogs ranked 110th nationally in total defense. In his lone season with the Cardinals, Sirmon’s defense ranked 62nd nationally and 87th in third down conversions allowed. While Sirmon was only with the Cardinals in 2017, it did not come as a surprise to the fanbase that the team parted ways with him. With the hiring of Brian VanGorder as the new defensive coordinator, there is reason for fans to be cautiously optimistic about for the upcoming season. VanGorder’s 37 years of coaching experience should assuage some of the woes that come from losing seven starters. In particular, VanGordner has to replace NFL draftees Jaire Alexander, Chucky Williams, Stacy Thomas, James Earns and Trevon Young. Expect the coach to compensate with an aggresive gameplan for his defense. Fans are always anxious for a defense that puts pressure on the quarterback, but VanGorder shied away from informing fans his scheme will be blitz-heavy. While it is difficult to predict how a defensive unit will respond to their new coordinator, this is nothing new to the upperclassmen on the team. VanGorder will be the third defensive coordinator for U of L in the past three seasons. Through these personel changes and loss of veterans, one player has remained constant: Redshirt junior Jon Greenard. Originally a three-star prospect out of Hiram High School in Georgia, Greenard was honored as regional defensive player of the year. The linebacker was ranked 83rd in the country at his position and has been proving himself ever since. After redshirting his freshman year in 2015, Greenard made an impact during his second season. He accumulated two sacks, seven tackles for loss and an interception versus NC State that he ran for 42 yards. Throughout the 11 games he played in 2016, Greenard raised the eyebrows of the coaching staff, which translated to more playing time. Greenard capitalized on his opportunities more quickly than some may have expected. He recorded a sack and four other tackles in the season-opener versus Purdue in 2017. The Georgia native only kept the ball rolling from there, finishing the season with 48 tackles and leading the team in tackles for loss and sacks. These statistics shine a spotlight on Greenard and solidify him as one of the top-pass rushers in the nation coming into the 2018 season.